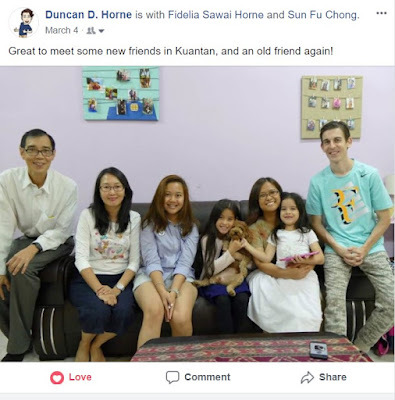 The above event came about because I was happy we finally have straightened out our little community problem in Kuala Lumpur using my social media skills explained with more details here. 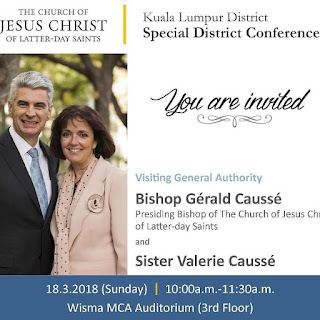 The Church continues to grow steadily in Malaysia. A little encouragement to the Single Adults! Chinese New Year's Eve, Searching for doggie red packets or 'Ang Pows'! When I was a teenager, Dad Sun Fu Chong taught me to sleep on my problems. Tired while studying? Take a nap. Then you'll have more energy later to study better. It worked well enough for me when I was studying for my A Levels. As I got older I started facing increasingly complex problems or assignments that could no longer be solved within a day. Dad's advice stayed the same. Can't figure something out? Sleep on it. You'll have a solution when you wake up. Extra bonus if you remember to pray about it before you go to bed. I don't recall ever doubting Dad's words (I distinctly remember agreeing with him several times), but just this week I was reminded how applicable his advice to me remains. So I'd been working on my Capstone (basically an undergraduate thesis) the past couple of months. I've been trying to construct a trade algorithm that uses machine learning classifiers on U.S. Equities data. I really struggled with it and things didn't go anywhere until about a month ago when I thought I had made a breakthrough. I excitedly gave a presentation on my findings in a weekly MCS seminar a week and a half ago. Things were looking great, and I was ready to write all my findings up in my report - until I met with my Supervisor and realized I made a couple of important mistakes in my methodology. Redoing the methodology was fine, but in the process I started realizing how bugged my code was. Inspired by a friend's advice, I eventually pinpointed the source of the bug, but it soon led me to realize just how flawed my entire algorithm was. At this point I was 2 days away to my Initial Thesis Submission. Thankfully, I had most of my report already written (the parts that weren't affected by the correction in methodology at least). I was two nights away from submission and I still had not found a viable solution to the flaw I found in my algorithm. Already running on sleep deprivation, I was getting desperate. That night, I suddenly remembered Dad's advice. Just like old times, I prayed about the issue I was having and went to bed. I woke up the next morning (ok, more like afternoon) and within an hour I had a stroke of inspiration. The next 5 hours saw me coding non-stop to test out an idea. It was that weird moment in programming where you suddenly hit this turbo mode where you suddenly poop out a whole, relatively bug-free program that would've normally taken you at least a week to finish under normal circumstances. By the evening (1 night before submission), I had confirmed that my new algorithm was working as intended AND performed better than my old one. I even managed to incorporate a couple of original designs I was pretty happy about. After a long prayer of thanks it was just a matter of rushing the rest of the report overnight (weekly Linear Algebra problem sets in Junior year prepared me for this). So yeah thanks yet again, Dad.